4 Design Architecture & Planning has over three decades of comprehensive experience in the design areas of urban planning, residential, commercial, industrial and institutional facilities. In addition, the firm specializes in the areas of public works, construction management, and master planning. 4 Design Architecture & Planning was established in 1977 and offers a wide variety of services in the field of architecture. Presently the firm operates as a California Corporation. 4 Design is a leading innovator in land use concepts and problem solving solutions to complex development issues. Their success record in guiding a project thru the entire planning and construction process is proven. They have developed positive relationships with staff and public agency governing bodies that result in timely, successful, and on budget projects. 4 Design’s work has been exhibited at the Oceanside Museum of Art and Escondido Center for the Arts. Mr. Chriss, has been a guest speaker at the San Diego Historical Society and for the University of California Los Angeles, junior colleges and high schools. 4 Design has also performed specific presentation graphic projects for the Cities of Oceanside and Carlsbad. 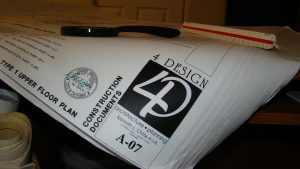 4 Design has processed General Plan Amendments, Zoning Changes, and numerous Development Plans (Master Plans). 4 Design Architecture & Planning has successfully completed over two thousand projects since its inception.